Every second the Sun emits million times more energy than the world consumes every year. Where does such a huge amount of power come from? Discover our star through the breathtaking timelapses. 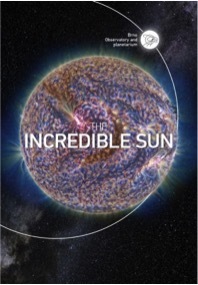 Thanks to the real images taken by the Solar Dynamics Observatory and processed by advanced mathematical methods, you will experience the true nature of the Sun and find out that it is far from being as calm as it seems at first glance. The Sun’s activity, pronounced by terrific solar flares, sunspots and coronal mass ejections, influences our planet, by producing impressive auroras but also by damaging distribution networks and communication satellites. Is it a threat to us, then?